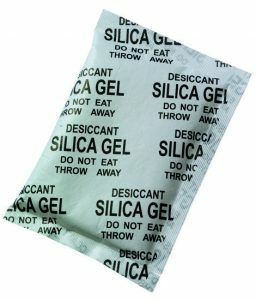 Silica gel in Tyvec bags. 500 pieces with each 30 grams. The most commonly used desiccant products are the silica gel desiccant. Silica gel in Tyvec bags is often found in foods and pharmaceutical products. Measurements 105 x 74 x 6mm. Available in 50 or 500 pieces. 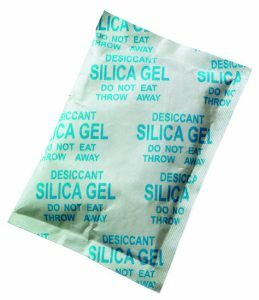 Silica gel in Tyvec bags. Available in quantities of 50 or 500 pieces with each 30 grams.